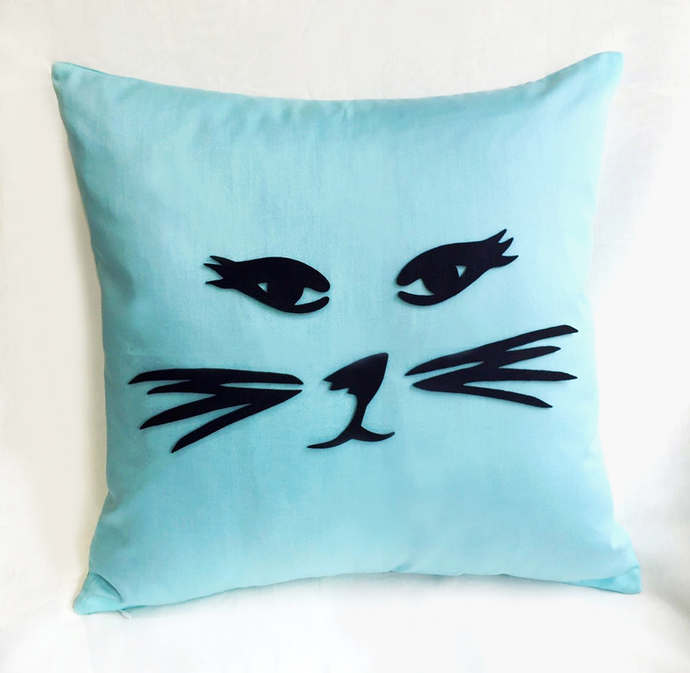 A sassy cat face decorative pillow for your home corners and makes perfect gift. *MADE-TO-ORDER, please allow 3--5 days for hand-sewing on top of shipping time. 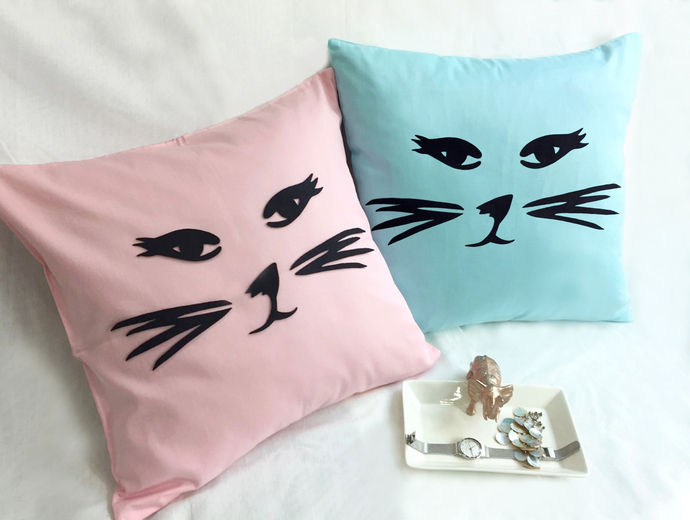 *This is 16inch X 16inch, 100% cotton with cat's face is hand-cut with felt, hand-sewn on the cushion cover. *Listing for pillow cover only. NO insert. *Pick your base color. 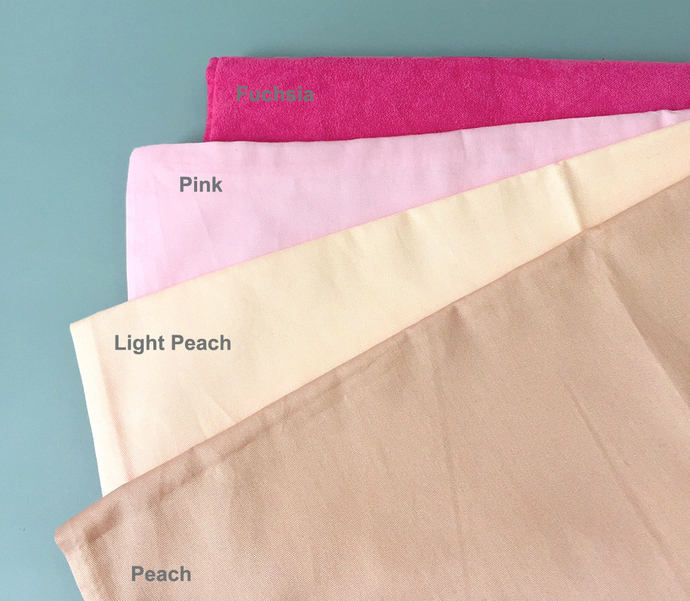 White, Pink, Grey, Light Peach, Fuchsia and more colors available, please refer to ALL pictures and Option to choose. *Hand-wash in cold water and hang to dry only. *Warm iron if need to. 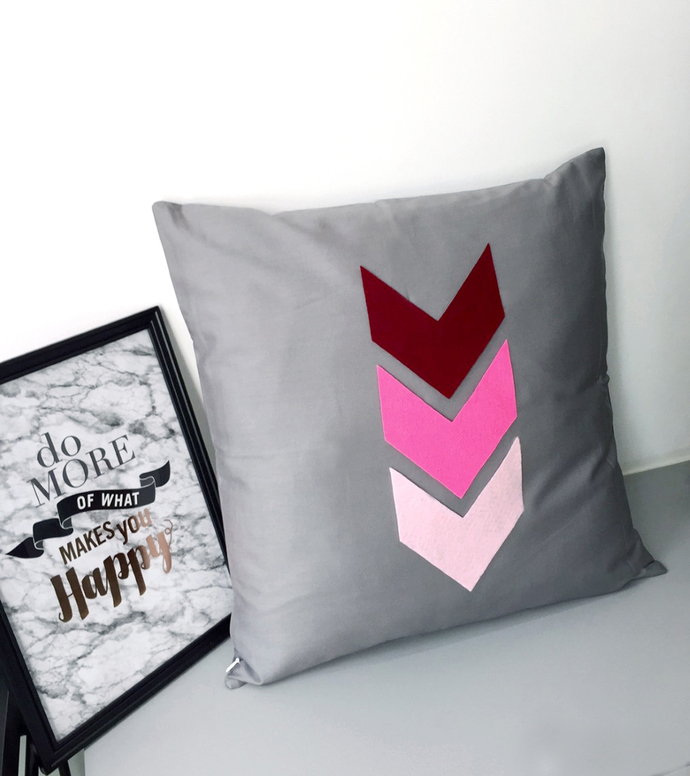 *Listing for Pillow Cover Only, no insert. Any insert of 18" x 18" or 17" x 17" fits. Simply want to put a Smile on you. These exclusively handmade products by me are inspired by my daily life, the nature,fairy tales,culture and more.